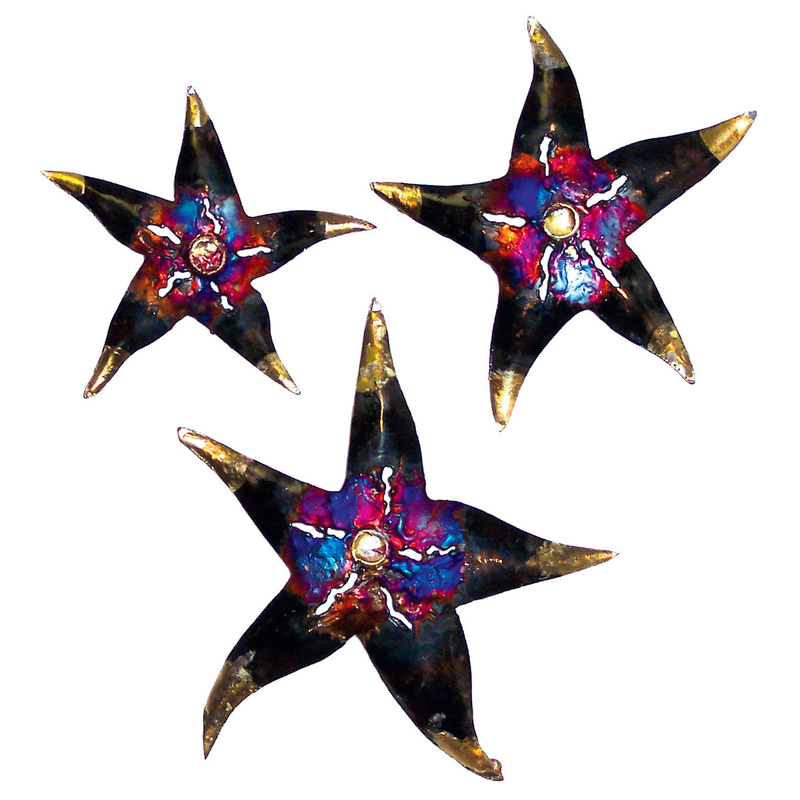 Accent your seaside home with the Golden Tipped Starfish Metal Wall Art - Set of 3. This beach wall art features stunning multicolor centers, black legs, and golden tips. Small: 4 3/4"Dia. ; Medium: 5 1/2"Dia. ; Large: 6 3/4"Dia. For more options, we invite you to take the time to browse our extensive range of beach wall art at Bella Coastal Decor today.